Last week we talked about the woman called Wisdom who was calling out to others to come to her house of wisdom (Church). God used Godly women in the Older Testament to paint a picture of the Bride of Christ. The ungodly women were a picture of the harlot bride. In like manner, God used godly men to paint a picture of Jesus, and ungodly men the antichrist. God's ways don't change. I have shown you in previous teachings the examples of the Godly men being a picture of Christ. As Godly as they may have been, they weren't perfect. God in His infinite wisdom used the imperfect to paint a picture of the perfect in Christ! He is still doing this today through imperfect believers in Christ! We are to reflect Jesus the Perfect to a lost and dying world through our imperfect life. The closer we draw to Him and the more we obey His commandments, the brighter He is reflected through our lives. Examples of godly women being a picture of the Bride of Christ are Rebekah, the bride of Isaac the promised son, and Ruth and Naomi, as well as many others. 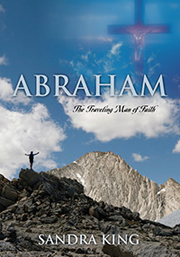 The father (Abraham) sent his faithful servant (Holy Spirit) to gather a bride for his son. Rebekah was that bride who would willingly go with the faithful servant to the promised son of the father that she had never seen. The Bride of Christ comes to the Promised Son whom she has not seen by the power of the Holy Spirit symbolized by the faithful servant. Naomi, the Jew, and Ruth, the Gentile, together represent the Bride of Christ made up of both Jews and Gentiles who believe in the Redeemer. Boaz, who was their kinsman-redeemer, symbolizes Christ. I could do further teaching on both of these women to show you in greater detail, but I will save that for another day. This week, I want to teach on Jesus and His wisdom and the gift of wisdom He gives to us. Jesus said in John 14:6, “ I am the Way, the Truth and the Life. No one comes to the Father except by Me.” Jesus is the revealer of the Father who is Perfect Wisdom. Matthew 11:27: “All things have been committed to Me by My Father. No one knows the Son except the Father, and no one knows the Father except the Son and those to whom the Son chooses to reveal Him.” It is all Jesus' doing. We can take no glory! Just before Jesus was crucified, Jesus said to His disciples, “If you really knew Me, you would know My Father as well. From now on, you do know Him and have seen Him.” John 14:7 Jesus is the perfect image of God (Godhead), and also the image of a perfect human. In other words, a full human being as God intended because He had no sin. It is by progressively removing sin in us that He is more fully "in" us. It is in doing the Word that He abides in us more fully. There is less of us and more of Him. Right after Jesus said that no one knows the Father except the Son, Philip, His disciple, said to Jesus, “Lord show us the Father and that will be enough for us.” Jesus gave a gentle rebuke to Philip, “Don't you know me Philip, even after I have been among you for such a long time? Anyone who has seen Me has seen the Father. How can you say, “Show us the Father? Don't you believe that I am in the Father and that the Father is in Me? The words I say to you are not just my own. Rather it is the Father, living in Me, who is doing His work. John 14:9-10 Philip had been walking with Jesus 24/7 for three years and yet he didn't know that Jesus and the Father were one and the same in actions, words and deeds. As Jesus revealed the Father through His actions, words and deeds, the Lord wants those who follow Jesus to reveal Him to others through our actions, words and deeds – not in word only. When people see those who love and follow Jesus, they should see Jesus in and through us. Jesus not only spoke the Truth, He did and was identical to what He spoke. Jesus wants us to really KNOW HIM. The way we know Him is through the wisdom of the Word that reveals His love, grace, truth and character. We must be careful that we are rightly-dividing His Word. The Word/Jesus becoming flesh and surrendering His life for all humanity establishes God's love for humanity. It is the greatest act of love the world has ever seen. Jesus gave His everything for us out of His and the Father's love. His sacrificial life was a forever witness of God's love. We need not question His love for us. We are the only part of creation that was created in the very image of God. Jesus showed us the way of love which is powerful. Without knowing the love of Christ and it being given from others, we would not know real love. Love can't be explained, it must be shown. We don't know how to love until it is shown to us. Jesus came to earth not only to save us but to also show us how to love. For a time, the Father of love gave up His eternal companion (Jesus) whom He loved with agape love so He could come to earth and suffer as He did for us. Jesus was closer to the Father than any human relationship could ever be. They were so closely connected in love, thought, word and deed that they were One. Yet God was willing to separate with Him long enough for Him to come to us so we could be restored to the Father and our original condition in the beginning – holy and clothed in God's glory and light. For the Father and Jesus who were so intimately connected in love, this sacrifice was beyond our human comprehension. Please my brothers and sisters, do not take any glory away from Jesus by glorifying the works of the Law or any nation or person. It is Jesus that is to be glorified because no nation or person could have withstood what He withstood on the cross for our sake. Jesus, not because He was Jewish but because He was God in the flesh, withstood the full wrath of God for the sin of the whole world. No mere human could have done this, and God knew it which is why He sent His beloved Son to do it for us. This is God's love for sinners who have fallen short of His glory. He sent His most cherished, chosen and precious Son to suffer and die for our sins so we could have eternal life. The Eternal, Living Word of God became flesh and dwelt among humanity. The invisible made Himself visible in Christ. If the Godhead loves us with so great a love, we should be compelled to love Him and others in the same way. Many of us have had bad examples of love and relationship. We were raised by imperfect parents and loved or refused love by imperfect people. But as we grow in the knowledge of Christ, we will see godly love which is pure and full, and the way it is expressed through relationships both with Jesus and with others. The wisdom of the Word will help us but we have to be surrendered to its ways and Truth. God's desire for all of us is for us to know His way of love. Perfect love casts out fear! And, love never fails! God is preparing us on earth as a Bride prepared and ready for our Husband and His home, which will be full of pure, perfect love, peace and joy. It will be lit by the glory and light of the Father and the Son. The Holy Spirit is drawing us to that light, love and purity now right here on earth progressively and surely. The Spirit of wisdom flows from the throne of God and the Lamb. (Revelation 22:1) Love is the motive behind this Spirit both in acceptance and in correction. The Godhead assures us that we can eat and drink of this river of truth and power freely. It is the Wisdom of the Word and the Spirit of Wisdom that speaks spiritual life into our being. Isaiah 50:4: The Sovereign Lord has given me an instructed tongue, to know the Word that sustains the weary. He wakens me morning by morning, wakens my ear to listen like one being taught. In other words, we are to have the tongue of the taught and have a teachable heart and spirit. Isaiah goes on to say, “The Sovereign Lord has opened my ears, and I have not been rebellious.” v 5 He has not been disobedient. He listened. Jesus and the Holy Spirit came to show us the love and truth of the Father, and to comfort the weary. The Godhead will give us spiritual eyes to see and spiritual ears to hear if we do not resist Him. As Jesus was asked where He got His wisdom and authority, God wants those who love and follow His Son to be asked the same question! It is the Truth that sets people free. Nothing on earth can compare to Godly wisdom and Godly love. (1 Corinthians 13:2) It is these two things that will help people grow into His (Jesus) full stature (maturity). When we operate in Godly love, wisdom and grace, we have the favor of God upon us at all times and in all things, and we and others are strengthened. The Bride of Christ must raise the standard! She has the Holy Spirit living within her and the wisdom of the Word available to her. Nehemiah 9:20: “You gave your good Spirit to instruct them (His people). You did not withhold your manna from their mouths, and you gave them water for their thirst.” God's ways don't change. The water and bread from heaven fed the physical hunger and thirst of the Israelites, but the water and bread of Jesus and the Holy Spirit feed our spiritual hunger and thirst. God used the “natural” to paint this “spiritual” reality. Godly wisdom will take away stress and increase your life. When we try to address problems with our fleshly abilities, we are stressed. But if we ask God to use His power and ability to deal with situations, we have peace. (Proverbs 4:5-27; Matthew 11:29-30) If you have time, please read all of Proverbs 4 which tells you all that wisdom does. This proverb says that “Wisdom is Supreme.” Proverbs 3:13-20 says that Godly wisdom is a “tree of life” and better than silver, fine gold and precious jewels. Her ways are pleasantness and all of her paths are peace. Those who retain godly wisdom are happy. The wall around the New Jerusalem is made of gold, and precious jewels. These are those who have allowed the Word and the Holy Spirit to chisel and polish them so they reflect the light and glory of God and Jesus. Gold and precious stones are endurable substances. The Bible says that our righteous works will be gold, silver and precious stones. Only these will endure eternally. The wood, hay and stubble of our fleshly ways will be burnt up. When the river of wisdom flows out of Christ's Bride, our lives and words will confound the wise (in their own eyes). Jesus is the Master Builder and the Wisdom of the Word. Those who are full of the Anointed Word of God will also be master builders. Take heed how you build! May we all know the love of God and share it with others, and may we come to the full stature of Christ (maturity) so others will see Jesus in us and be drawn to Him. May our lives glorify Christ alone through our actions, words and deeds.